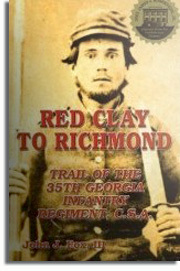 May 2014 will ring in the 10th anniversary of the publication of my first book Red Clay to Richmond: Trail of the 35th Georgia Infantry Regiment. Little did I know that a 1987 visit to a frame shop owned by Columbus, Georgia’s Jack and Dian Stroud would launch my Civil War writing path. The Stroud’s framed a Don Troiani print that I had purchased titled “Show Them the Cold Steel Boys!” which portrayed a wild-eyed Brigadier General Lewis Armistead leading his Virginia Brigade over the stonewall and into the muzzles of Union cannon at Gettysburg. Before I left the shop on that fateful day, Dian showed me a framed original letter that a Confederate relative had written. Imagine my surprise when Dian told me that her Aunt Ruby had two shoe boxes of letters written by Private James Marion Garrett to his widowed Mother. I asked, and almost insisted, that these letters needed to be copied and preserved. With my Army background, a history degree from Washington & Lee University and a love for all things Civil War I convinced myself that I was the person to do this. I must have convinced Dian who then convinced Aunt Ruby because several weeks later Dian called to say that she had the letters at the shop if I wanted to come see them. I raced back to the shop and soon held these letters written by a young eighteen-year-old James Garrett to his Mom. 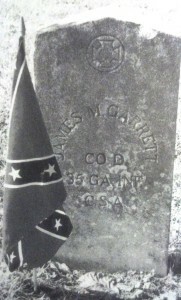 They spanned from 1861 until 1864 and highlighted Garrett’s experience through all the major fighting in Virginia, Maryland and Pennsylvania. The letters revealed the daily trials and tribulations of a Confederate foot soldier both in combat and in camp – from the euphoric high of finding extra food to the low of lows as Garrett scribbled about the death of a good friend. North Carolinans and Georgians hugged the ground for about two hours as they endured the murderous fire from Burnside’s men. 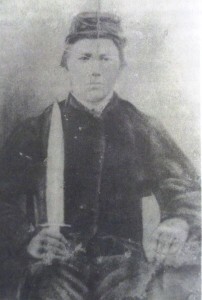 When the Georgians found their right flank turned they hustled “back across the boggy morass and up the steep incline.” The many wounded Southerners remained behind including Garrett. When conversing with him a short time before his death about his prospects of heaven he exclaimed, ‘Oh how glad my mother will be to hear I died a Christian.’ It is great consolation indeed to know that he passed away so well preparing with such bright prospects of heaven. Let that fact fill your heart with gratitude to God. I know it is hard to part from our dear children, but if they depart in Jesus we know our loss is their eternal gain. They can never come to us but we can go to them. May the God of all love fill your heart with peace and comfort. And remember that you have a treasure in heaven which should be an additional motive to make you think more of that blessed place. We wrapped him in his blanket and buried him as best as we could under the circumstances. You may rest assured that all that could be done was done. Hoping that these lines will be of great comfort to you, I remain your humble servant.